Hear Jennifer Walker of Genuine Social (http://www.jennifer-walker.ca) discuss not only some LinkedIn & social media tips, but also why she started her business! 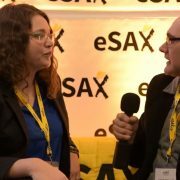 Recorded at the April 2018 eSAX event. Interviewed by Jean-Paul Yovanoff of Sponsearch (http://sponsearch.com) Produced and edited by Bytown Video Productions (http://www.bytownvideoproductions.com) and Storyline Productions (http://storylineproductions.ca). http://esax.ca/wp-content/uploads/2017/01/eSAXLogo-High-Rez.jpg 850 850 eSAXnetworking http://esax.ca/wp-content/uploads/2016/11/eSAX-2016-logo-200.png eSAXnetworking2018-05-06 16:47:442018-10-30 12:37:09Thank you to all the amazing volunteers who make #eSAX work! 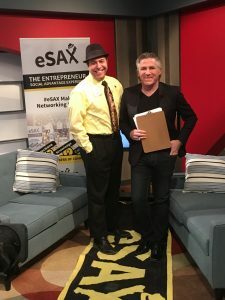 Hear eSAX founder Jarrod Goldsmith chat with Daytime Ottawa host Dylan Black about what entrepreneur networking is all about & what you can expect from attending an eSAX event! 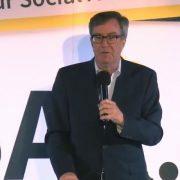 Recorded on March 29, 2018 – Daytime Ottawa, Rogers Television Channel 22. 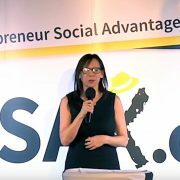 #eSAX (The Entrepreneur Social Advantage Experience – https://esax.ca) is an entrepreneur networking community for small business to create connections, gain knowledge and promote collaboration among regional Chambers of Commerce. Events are held every 3 months (January, April, July and October). 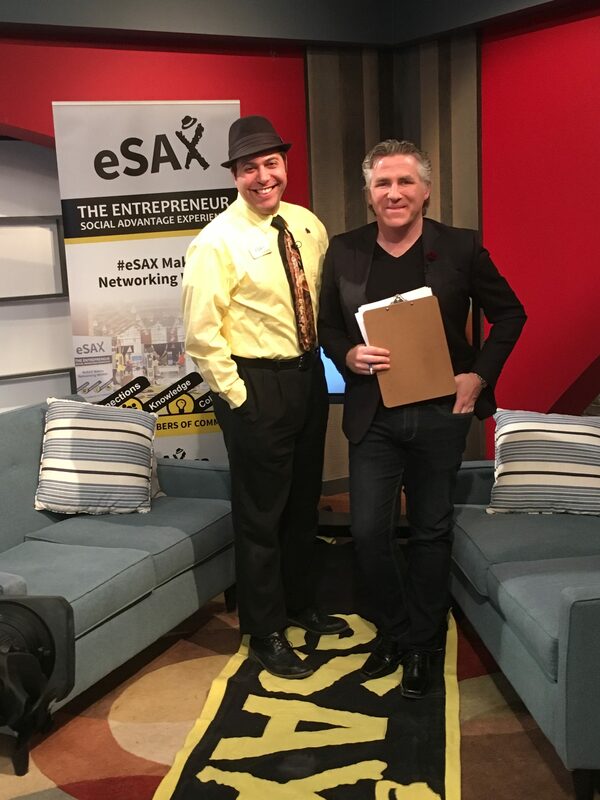 eSAX was founded by entrepreneur and musician Jarrod Goldsmith (http://JarrodGoldsmith.ca) of Sax Appeal Ottawa.